This record doesn’t have a lot of direct Joe Henry associations (though he does contribute an essay to the liner notes), but The Milk Carton Kids have been championed by JH pretty much from the get-go (in fact, he contributed vocals to Pattengale’s solo record pre-dating The Kids). The duo’s popularity has exploded since the release of their last album, The Ash & The Clay, but fans will not be disappointed in the follow-up, Monterey, which is out on Anti- Records just this week. Monterey is a brisk listen and, in my opinion, by far their most cohesive. It’s more than the sum of its excellent songs, and the flow from one track to the next contains an urgency you wouldn’t expect from such a low-key record. Recorded on the road and self-produced, this album represents a perfecting of the format they’ve adopted for themselves. I recall not too long ago that they had said that they definitely had one more pure acoustic duo album ahead of them, but beyond Monterey, I wonder if we should expect them to branch out musically. Pattengale is a rather accomplished multi-instrumentalist, but they’ve been so successful at their craft, it should be interested to see where The Milk Carton Kids go from here. It’s hard to remember a time when Johnny Cash wasn’t considered a Country Music icon. Though it’s widely acknowledged that Cash’s influence can be felt across all genres of popular music, he is most closely associated with and embraced by the Nashville establishment. However, when Columbia Records first signed Cash, freeing him from the controlling hands of Sam Phillips’ Sun Records, the artist was known primarily as a rockabilly artist and had aspirations well beyond his established sound. Columbia at first seemed supportive of Cash’s vision for his work, but like so many labels before and since, became impatient for hits, regardless of which chart they would land. In the early 60’s, Cash released a string of albums that favored compositions by songwriters like Merle Travis and Tompall Glaser but strove for a sound that blended country with folk and blues (what we would today call “Americana” for lack of any better description). Those early records produced hits but also left label execs – and, no doubt, fans – often confounded (Ride This Train featured lengthy spoken word introductions, and The Lure of the Grand Canyon featured only Cash’s narration performed over Ferde Grofe’s Grand Canyon Suite). Cash’s restless spirit and creativity was kicking with full force in the early 1960’s and would lead him down many interesting paths throughout his recording career. It was during this time that Johnny Cash would find his way to the New York folk scene and, in particular, to the work of songwriter Peter La Farge. La Farge is not a household name by any means, but it is safe to say that his work is remembered largely thanks to Cash. While the civil rights movement gained steam in 1963 and ’64, Native American issues began to emerge due to problematic government policies and land grabs that continued the United States’ historic mistreatment of Indians and thievery of their land. Peter La Farge gave a voice to these issues with a string of protest songs that emerged in parallel with the folk movement’s wholehearted embrace of African Americans’ civil rights movement. As Johnny Cash (along with several other celebrities) found himself increasingly aware and committed to Native American issues – with demands and circumstances quite different from those of African Americans – the idea formed for yet another concept album, this one sure to cause further tension between Cash and his label. The seeds of Bitter Tears were sown from a unique set of circumstances, both social and personal, and the record proved to be polarizing and often forgotten among Cash’s body of work. 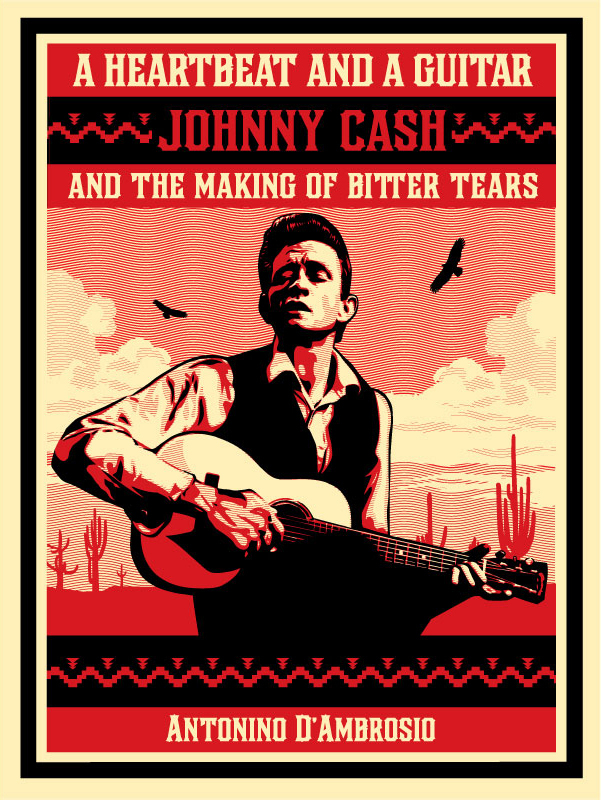 The social, political and musical context surrounding Bitter Tears is wonderfully captured in Antonio D’Ambrosio’s 2009 book, A Heartbeat and A Guitar: Johnny Cash and the Making of Bitter Tears. D’Ambrosio devotes only a few pages to the actual recording of Bitter Tears (notably, the only time Cash and La Farge spent any significant time together) and instead traces the events and experiences that would lead Peter La Farge to write his songs and Johnny Cash to record them. 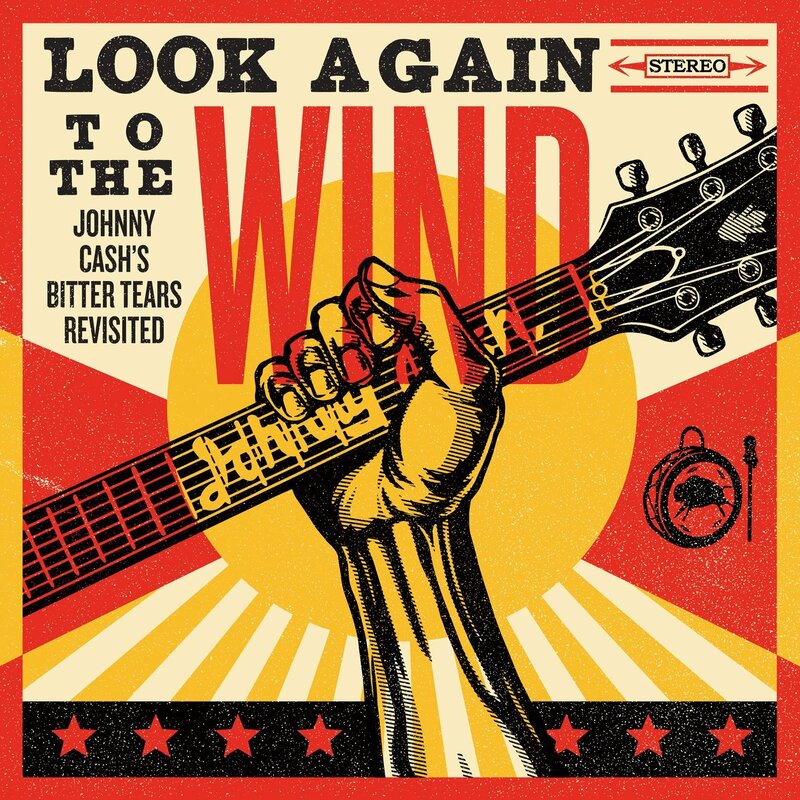 Look Again to the Wind: Johnny Cash’s Bitter Tears Revisited was no doubt inspired by D’Ambrosio’s book (he is credited as Executive Producer on the new album), and a forthcoming documentary directed by D’Ambrosio will cover both the original Bitter Tears as well as the tribute album. However, it was producer Joe Henry who assembled the players and produced Look Again to the Wind, which, in equal measure, is a testament to the talents of both La Farge and Cash (who contributed two originals, “Apache Tears” and “The Talking Leaves,” to Bitter Tears). Musically, Look Again shares as much (if not more) with La Farge’s original interpretations, which in some cases were nothing more than solo acoustic performances. As you might expect, Henry did not recruit big-name country stars for the project but rather marquee names from the world of Americana, the genre of music most indebted to Johnny Cash these days. As Bitter Tears has its roots in the folk scene of the late ’50’s and early ’60’s, it’s only fitting that some of today’s leading lights in folk music – Gillian Welch & David Rawlings and The Milk Carton Kids – provide the musical backbone of most of the tracks here. Norman Blake, the only living veteran of the original sessions, fittingly contributes a track (as does his wife, Nancy Blake). Emmylou Harris and Steve Earle represent the generation who most directly inherited the torch from stars like Johnny Cash. The Carolina Chocolate Drops’ Rhiannon Giddens puts here signature on “The Vanishing Race” (the lone tune penned by neither La Farge nor Cash, but Johnny Horton), and Native American artist Bill Miller casts a spell on the title track (a La Farge composition that did not appear on Bitter Tears). Kris Kristofferson tackles the indelible “Ballad of Ira Hayes,” still the standout song here (and easily the most widely recognized, as it became a staple of Cash’s live repertoire). There are many angles from which to view Look Again to the Wind: a social document, a forgotten gem, a tribute to two singular songwriters or simply a beautiful recording of great songs. It is, of course, a wonderful tribute to the legacy of Johnny Cash, but by no means is it a “Johnny Cash Tribute Album.” In fact, the gentle acoustic arrangements will most likely transport the listener to those Greenwich Village coffeehouses where Cash first developed a kinship with New York’s folk scene. Cash’s next record, Orange Blossom Special, became a big hit (after Bitter Tears was largely ignored by country music radio) but continued the thread with three Bob Dylan tunes. Johnny Cash was never simply a “folk artist” any more than he was ever just a country, blues or rockabilly artist. Today, we simply remember him as Johnny Cash, an artist and person who defied easy categorization and transcended comfortable boundaries. Whether you’re listening to Bitter Tears or Look Again to the Wind, you’ll be reminded why. 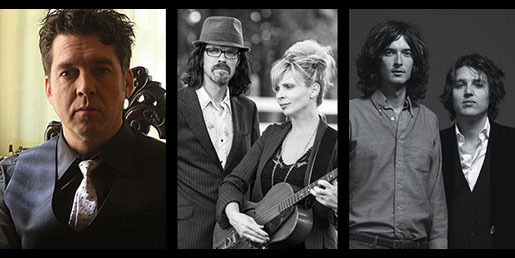 You can hear yet another stunning track (“Apache Tears” by Emmylou Harris & The Milk Carton Kids) from Look Again To The Wind: Johnny Cash’s Bitter Tears Revisited over at the website The Bluegrass Situation. The post also features some comments from the Kids on working with Emmylou and Steve Earle. Don’t forget – the record comes out next Tuesday, Aug. 19. UPDATE 7/11: Full press release at Sony’s website. UPDATE 7/9: You can pre-order the record at the iTunes store and download “The Ballad of Ira Hayes” featuring Kris Kristofferson with Gillian Welch & David Rawlings (or you can download the track individually). UPDATE 7/8: USA Today has a few more details, all of which make this sound like a uniquely collaborative effort between the artists. As you may recall, Joe Henry spent the first months of 2014 producing a very unique project, a re-imagining of Johnny Cash’s equally unique record Bitter Tears. The record features performances by Kris Kristofferson, Gillian Welch, David Rawlings, Emmylou Harris, Steve Earle, Bill Miller, Rhiannon Giddens and The Milk Carton Kids. The album will mark the 50th anniversary and be accompanied by the release of a documentary directed by Antonio D’Ambrosio, who also wrote the very excellent book about the original album, A Heartbeat and A Guitar. 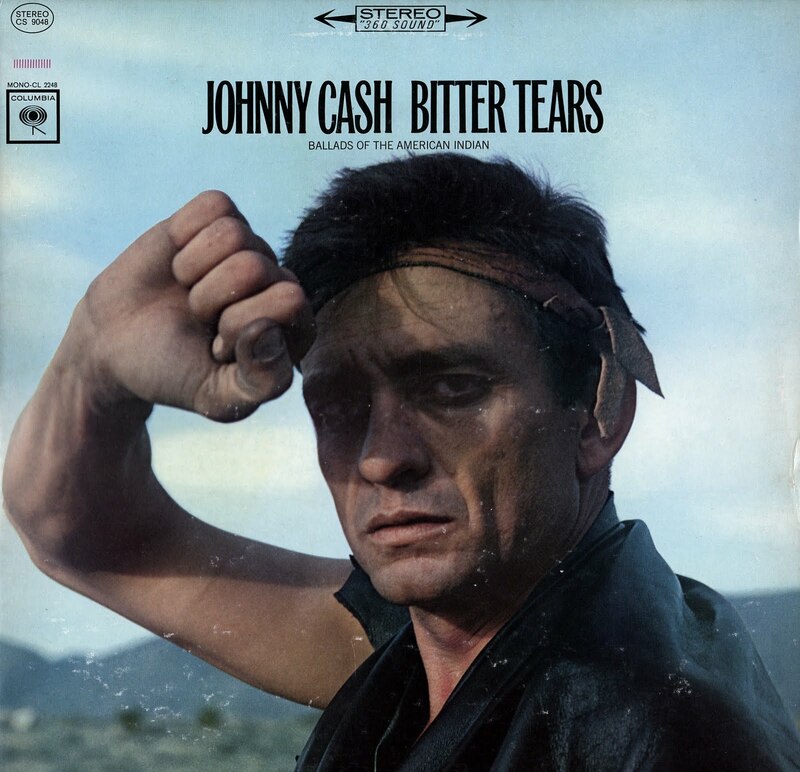 Of all the dozens of albums released by Johnny Cash during his nearly half-century career, 1964’s “Bitter Tears: Ballads of the American Indian” is among the closest to the artist s heart. A concept album focusing on the mistreatment and marginalization of the Native American people throughout the history of the United States, its eight songs among them “The Ballad of Ira Hayes,” a #3 hit single for Cash on the Billboard country chart spoke in frank and poetic language of the hardships and intolerance they endured. Now, 50 years after it was recorded, a collective of top Americana artists has come together to re-imagine and update these songs that meant so much to Cash, who died in 2003. For “Look Again to the Wind: Johnny Cash’s Bitter Tears Revisited,” creative leader and album producer Joe Henry (Bonnie Raitt, Aaron Neville) realized that the “Bitter Tears” album held a special place in Cash’s canon, and that in many ways the issues it raised still resonate today. This had to be apparent in the new versions he was recording for “Look Again to the Wind.” The album features American music giants Kris Kirstofferson, Emmylou Harris, Steve Earle, Bill Miller, Gillian Welch and David Rawlings, and Norman Blake (the guitarist and only surviving member from the original recording sessions) as well as up-and-comers The Milk Carton Kids and Rhiannon Giddens, interpreting the music of “Bitter Tears” for a new generation. As the original album was for Cash, this new collection is a labor of love with a strong sense of purpose fueling its creation. The album was recorded in Los Angeles, Nashville and at Johnny Cash’s personal recording studio, Cash Cabin in Hendersonville, TN.